November 29, 2018 By This post may contain affiliate links. This Christmas gather around the fire with friends and family and enjoy this zesty RO*TEL Reindeer Cheese Ball. 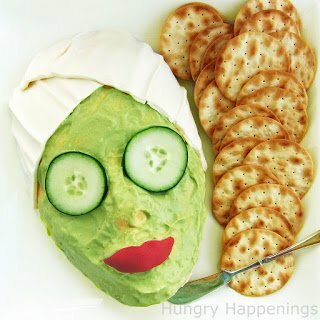 This unique appetizer will be the hit of your party. 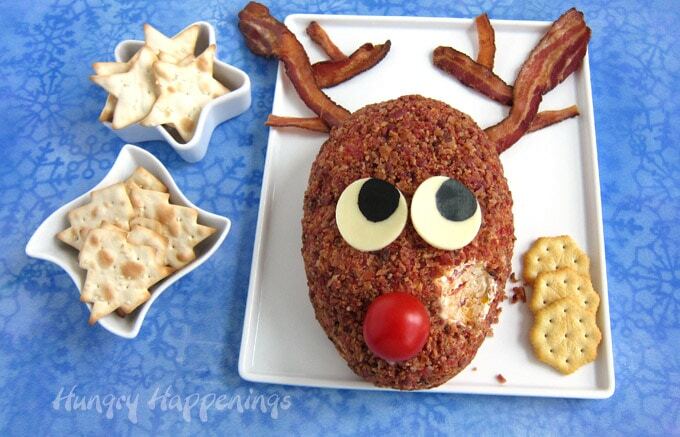 How cute is this Reindeer Cheese Ball? Can you see this on your table at your Christmas party? I know that at first your friends will just stand around admiring this unique Christmas appetizer and you’ll hear comments about your guests not wanting to cut into this cute guy, but once that first person scoops some and spreads it on a cracker and raves about the combination of creamy cheese speckled with RO*TEL® Diced Tomatoes and Green Chilies all covered in bacon it won’t be long before everyone digs in. 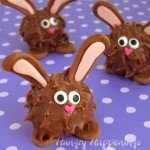 Not only is this Reindeer Cheese Ball adorably cute but it is amazingly tasty too. I’ve enjoyed a lot of cheese balls in my life. 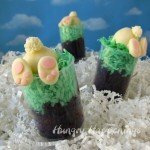 I’ve even made quite a few to share with you. 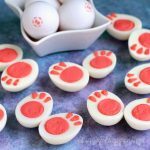 Do you remember my Cheese Ball Cauldron, Cheese Ball Turkey, Wedding Cake Cheese Ball, Cheese Ball Birthday Cake, Baby Chick Cheese Balls, or my Melting Snowman Cheese Balls? If not, be sure to check them out too. Each of these cheese balls has a slightly different flavor profile and every time I make a new one I think, now this is my new favorite. Well, now this IS my new favorite. I took my basic recipe of blending sharp cheddar cheese into cream cheese then tossed in some taco seasoning and a can of RO*TEL® Original Diced Tomatoes and Green Chilies and a can of RO*TEL® Mild Diced Tomatoes and Green Chilies. It’s amazing how just four simple ingredients can have such a bold flavor. The bits of tomatoes and chillies added so much flavor to the creamy cheese and the taco seasoning just pulled it all together. Oh, and let’s not forget about the 5th ingredient, bacon. The entire cheese ball is covered in it and it is oh, so good! I’ve mentioned before that my taste buds are overly sensitive to hot spicy foods so I chose to tone down the heat of the RO*TEL® Original Diced Tomatoes and Green Chilies with a can of RO*TEL® Mild Diced Tomatoes and Green Chilies and the recipe was perfect for me. If you prefer more adventurous flavor then you can kick it up by using RO*TEL® Hot Diced Tomatoes and Green Chilies in your cheese ball recipe. You can find more RO*TEL Holiday inspiration here. 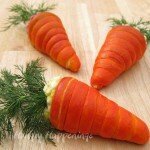 This makes a large cheese ball that is big enough to serve a large crowd for any Christmas gathering. Beat 4 blocks of cream cheese until smooth and creamy. Stir in 2 1/2 cups of freshly grated sharp cheddar cheese and 1-2 tablespoons of taco seasoning. Add more or less taco seasoning depending on how robust you want the flavor of your cheese ball. Start by adding one tablespoon then add more if desired. 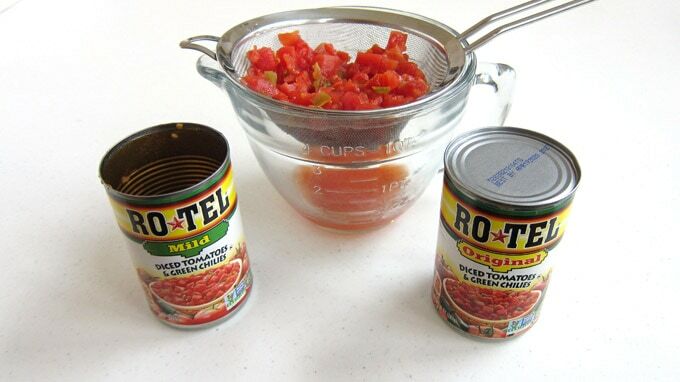 Pour two cans of RO*TEL Diced Tomatoes and Chilies into a fine mesh sieve and allow the liquid to drain off. Choose Hot, Original, or Mild Tomatoes and Chilies depending on how spicy you’d like your cheese ball. Be sure to drain all the liquid off the tomatoes. Press down on them to release their juices. 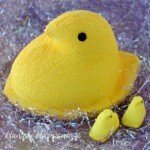 Pour them out onto paper towels and blot them dry. Mix the tomatoes and chilies into the cheese mixture. Lay one piece of plastic wrap across another and spoon the cheese ball mixture in the center reserving about a tablespoonful for later when you are decorating Reindeer. 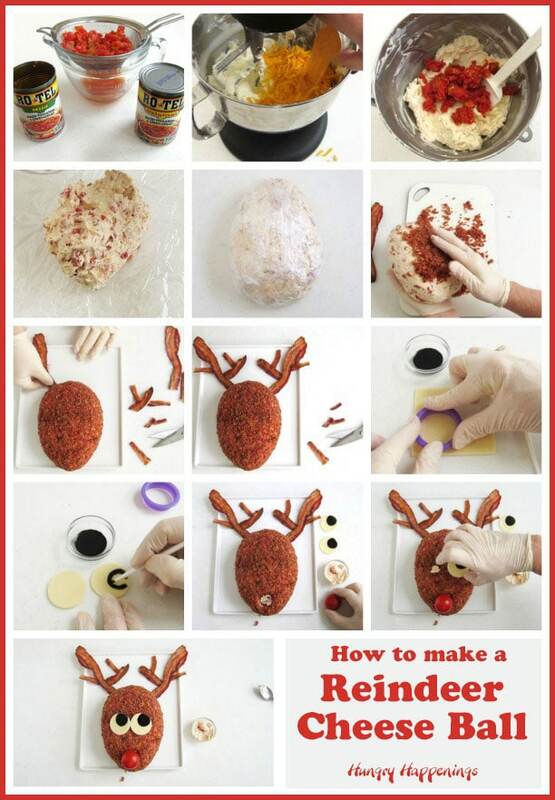 Wrap up the cheese ball and use your hands to shape it into an oval reindeer head. Chill in the refrigerator for about an hour until firm. You will need to cook 2 pounds of bacon for this recipe. You may not need every bit of it but I know you’ll want to snack on a slice or two so it’s best to have enough. I find it’s easiest to cook this much bacon in the oven instead of on the stove. Then set a cooling rack over the pan and arrange the bacon on it. Bake the bacon in a 400 degree oven for about 20 minutes flipping the bacon over midway through the baking cycle. The baking time will depend on the thickness of your bacon. Check after 15 minutes if cooking thin slices. If you have a convection oven us it to get really evenly crisp bacon. It’s best to cook one tray of bacon at a time and you’ll need to use two large baking sheets to cook 2 pounds of bacon. Coat the cheese ball in finely chopped bacon. You can coat the bottom if you’d like, you will have plenty of bacon to do so, but I recommend leaving it uncovered so that it will stick to your serving platter and it won’t move around, especially if you need to transport it. Set the bacon coated cheese ball on a large serving platter. 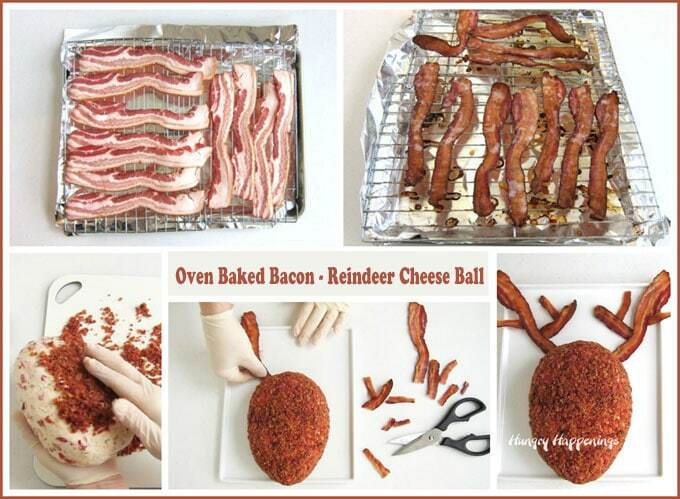 Place two whole slices of bacon coming out of the top of the cheese ball to create the main part of the antlers. Cut smaller pieces of bacon and use them to create the smaller parts of the antlers. If you use a really large platter you can have a huge rack on your reindeer cheese ball. Cut two 1 1/2 inch circles out of a slice of white cheese. Paint on pupils using black food coloring and a food-use-only paint brush then let them dry. Make an indentation at the bottom tip of the cheese ball and add a bit of the reserved cheese ball mixture. Press a small tomato into the indentation to create the reindeer’s red nose. 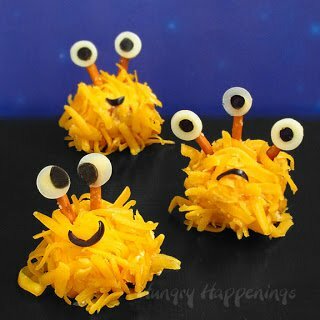 Attach the two cheese eyes using a small bit of the cheese ball mixture. Refrigerate the cheese ball until just before your guests arrive. 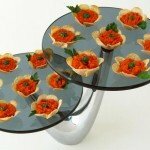 Set the platter on your table and add bowls or plates filled with crackers. For a festive touch buy snowflake, Christmas tree or star shaped crackers. 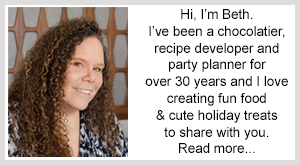 Be sure to have a cheese knife on the table too so your party guests have an easy time scooping out a small amount of the cheese ball to spread onto their crackers. 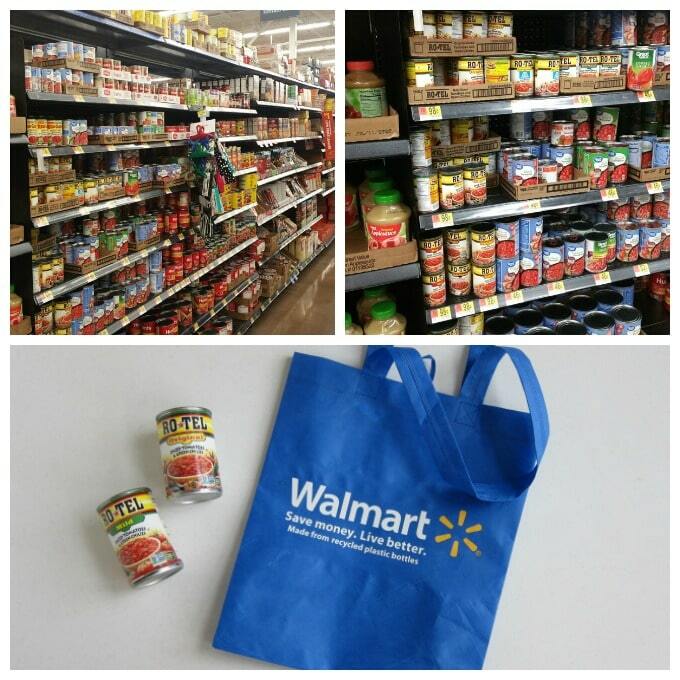 You can find all varieties of RO*TEL Diced Tomatoes and Green Chilies at Walmart. In my store they were with the other cans of tomato products. A bacon coated cheese ball made with a blend of cheeses, taco seasoning, and RO*TEL Diced Tomatoes and Chilies is decorated to look like a reindeer for your Christmas party. Stir in sharp cheddar cheese and taco seasoning. Add RO*TEL Diced Tomatoes and Green Chilies and stir just until combined. Spoon onto plastic wrap and shape into an oval, reserving about 1 tablespoon of the cheese for later. Chill for about one hour until firm. Unwrap cheese ball and cover in chopped bacon. Set on a serving platter. 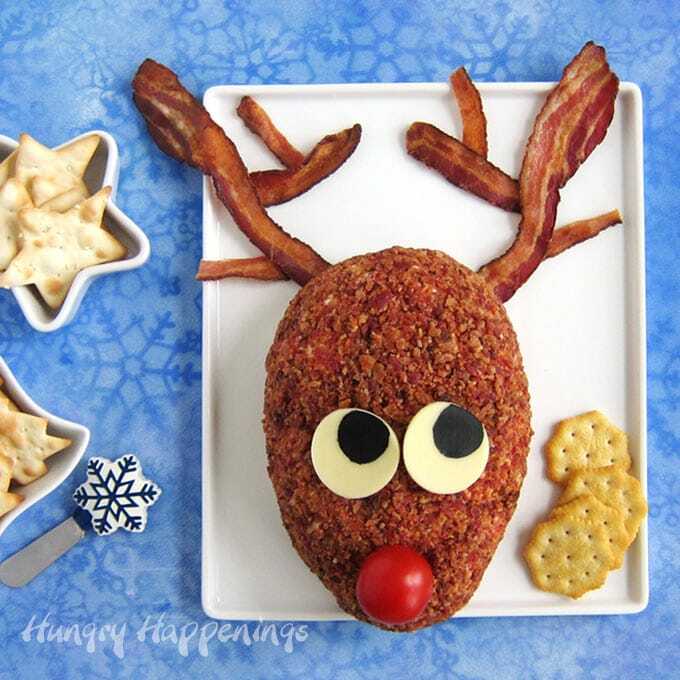 Arrange two whole bacon slices coming out of the top of the cheese ball to begin forming the reindeer's antlers. Cut the remaining bacon slices into smaller pieces and arrange around the whole bacon slices creating smaller parts of the antlers. Draw on pupils using black food coloring and a food-use-only paint brush. Press an indentation at the bottom tip of the cheese ball and spread in a small amount of the reserved cheese ball mixture then attach the tomato nose. Use more of that cheese to attach the two eyes above the nose. 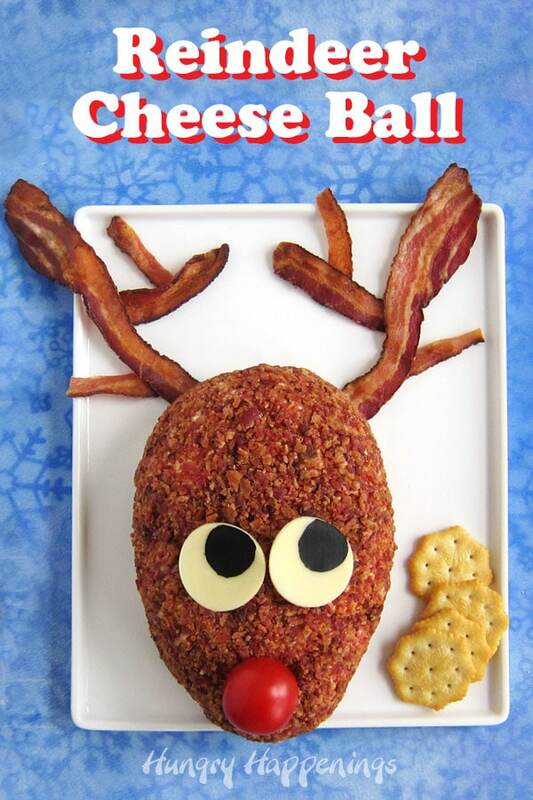 This is the cutest cheese ball, kids and adults would love this reindeer to guide their sleigh! LOL! Yes, I bet they would. I’m so glad you like him. Bacon antlers are brilliant! Who doesn’t love bacon?! Easy too. Thanks! Everyone who sampled this Reindeer Cheese Ball loved all the bacon on top and several were more than happy to eat an antler or two. 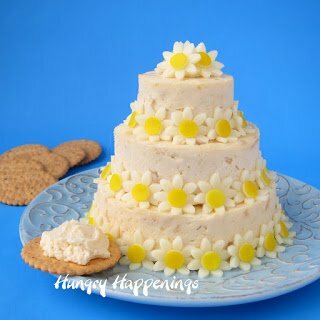 I can’t wait to make this for our family Christmas party. I know, right? Bacon does make this cheese ball really tasty! We have been enjoying this cheese ball for a week now. Every friend who has stopped by has been offered a snack. We finally finished the last of it yesterday. The consensus is that the recipe is once of the best they’ve ever tasted! I am so excited to make this cheese ball using RO*TEL for our Christmas eve party.